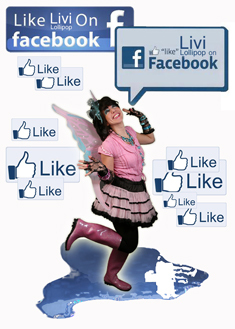 Livi Lollipop has Public Liability Insurance & has been CRB checked. Livi Lollipop uses only the best paints – non-toxic, hypoallergenic, and fully compliant with EU & FDA cosmetic regulations. They are skin-friendly, so kind to the most delicate skin, and water-based, therefore washable. As with any cosmetics, some people may be sensitive to any/all of the ingredients. 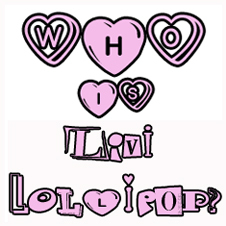 Livi Lollipop will not be held liable in the event of any reaction. People appearing to suffer from open wounds, cold sores, chicken pox, measles, mumps, runny noses, conjunctivitis, infectious skin conditions, eczema will not be painted. The minimum age for painting is 3 yrs old. Livi Lollipop will be as careful as possible when painting, however, cannot accept responsibility if face paint gets transferred onto surfaces, clothing, carpets, or other soft furnishings etc. Clothing that has been in contact with face paint should be soaked overnight in COLD water and washing powder, before washing normally. To remove paint from faces, soap and warm water should do the trick. Depending on skin type, some colours may linger on the skin (usually red), in which case a little scrub with a flannel might be needed. Children (and their actions) remain the responsibility of their parents or party organisers at all times.